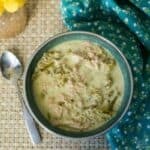 A dairy-free cream of turkey soup with cabbage and kale that’s low in carbs and keto friendly. 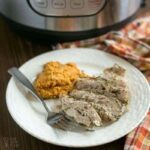 It’s a great recipe for Sunday meal prep when following an Atkins lifestyle. Over the weekend, I prepped some meals for the upcoming week. I’ll be heading to a conference so I wanted to make sure my family had some healthy foods to eat while I’m gone. Are you finding that you get too busy to cook during the work week? If so, you definitely take time over the weekend for meal prepping. I’ve been working two jobs for a few years now, so I do the majority of my cooking on Sunday. This last weekend, I made up a batch of cream of turkey soup with cabbage and kale. 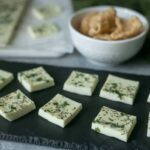 Although keto is super popular right now, I’ve been following more of an Atkins 40 approach. 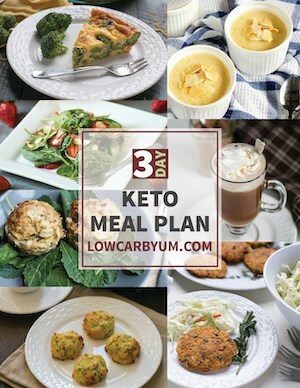 It’s an eating plan where people consume 40 net carbs per day. 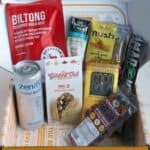 Atkins is a keto way of eating, but I find it’s a “better” keto diet because it offers a wide range of food choices to balance your micronutrients. You can read more here on how Atkins compares to the “classic” ketogenic diet. And, Atkins recently announced an even more flexible way of low carb eating called Atkins 100. This new plan allows people to consume 100 grams of net carbs a day. Foundation vegetables are where the majority of carbs are consumed on Atkins. 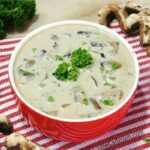 You can see a list of these vegetables and other acceptable foods for Atkins 40 here. 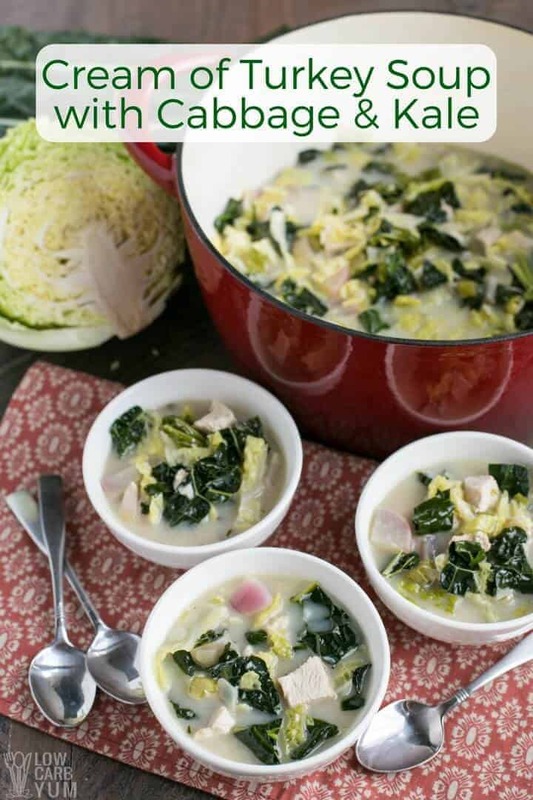 This simple cream of turkey soup with cabbage and kale fits in with all the Atkins plans. Even the original Atkins 20 where people only consume 20 net grams of carbs per day. 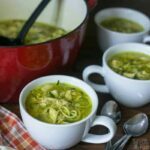 For a bowl of the soup, it’s only 6 grams net carbs. And, it’s a healthy meal that includes foundation vegetables. A lot of people have the misconception that the Atkins low carb eating plan is unhealthy because it’s based on eating meats and fats. But, vegetables are a key part of the plan. In fact, those following the Atkins plan typically eat more vegetables than the those on the standard American diet. However, the vegetables consumed are those that contain the least amount of net carbs. If you’re interested in learning more about the Atkins low carb lifestyle, I recommend reading the book, “Atkins: Eat Right Not Less.” The book contains everything you need to get started with an Atkins low carb lifestyle. The “Atkins: Eat Right Not Less” book also contains 100 mouthwatering recipes that fit any of Atkins lifestyle plans. 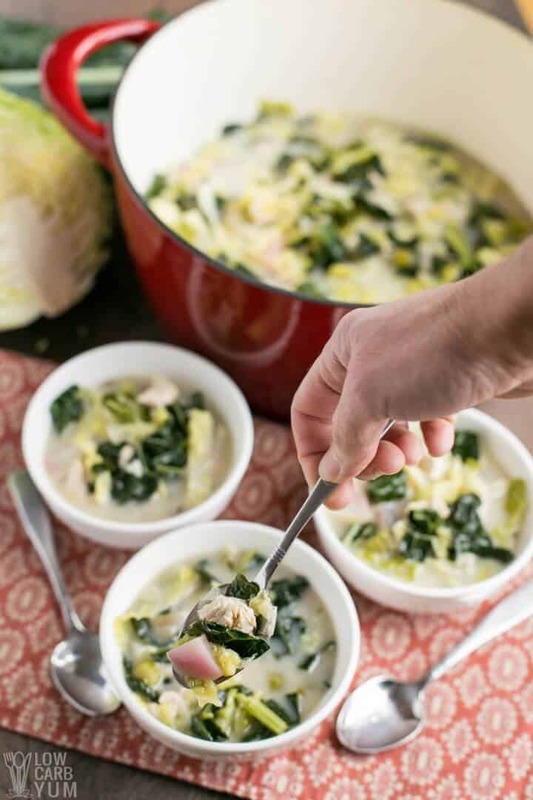 And, you can bet they are as delicious as this cream of turkey soup with cabbage and kale. Prepping meals on the weekend makes it super easy to stick to an Atkins eating plan. 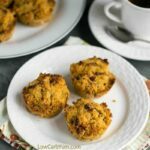 Another idea for Sunday meal prep is to bake up a batch of Atkins Café Caramel Shake Breakfast Muffins which are perfect for mornings on the run. I’m also a fan of casseroles as they are easy and the leftovers reheat well. 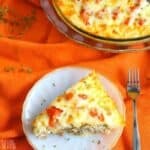 My low carb chicken enchilada casserole and keto lasagna are two of my favorites. I like to add Atkins foundation vegetables into my meals. Sometimes, I skip them at breakfast, but lunch and dinner always include veggies. On Atkins, it’s recommended to eat a minimum of 12 to 15 net grams of carbs from vegetables. Depending on the vegetables you choose, you should be able to eat 6 to 8 servings of vegetables a day. As you can see, there’s a heavy emphasis on eating vegetables on the Atkins eating plans. It’s not just filling up on protein and fats. 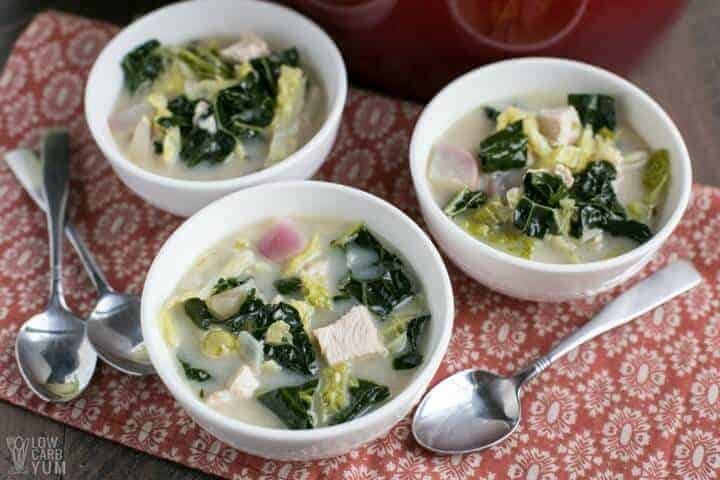 Those on an Atkins lifestyle eat plenty of vegetable rich meals like this cream of turkey soup with cabbage and kale. To make following an Atkins lifestyle even easier, there’s free tools and resources offered at the Atkins website. 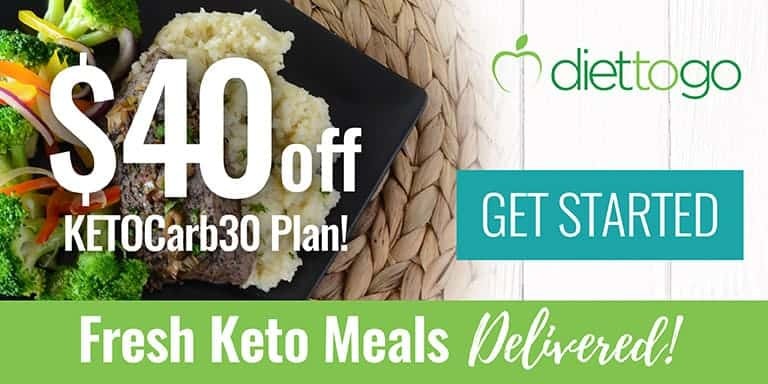 There’s even a free mobile carb counter & meal tracker app! Using a mobile app is an easy way to track your daily macros. When I went back to a low carb lifestyle in 2010, having a mobile app was key to staying on track. Since I’ve been following the low carb lifestyle for a long time, I don’t bother tracking my macros any more. Instead, I focus on keeping my meals at or below 15 grams of net carbs. But, if you’re just getting started, I recommend tracking your macros so you can see how you’re doing. You may need to make changes, especially if you are in a weight loss phase of the low carb lifestyle. Just remember that Atkins isn’t a diet just to lose weight. It’s a lifestyle change that you should continue for life. 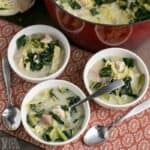 A dairy-free cream of turkey soup with cabbage and kale that's low in carbs and Atkins friendly. 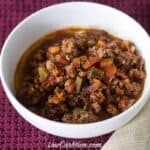 It's a great recipe for Sunday meal prep when following an Atkins lifestyle. In Dutch oven or large pot, melt coconut oil over medium high heat. 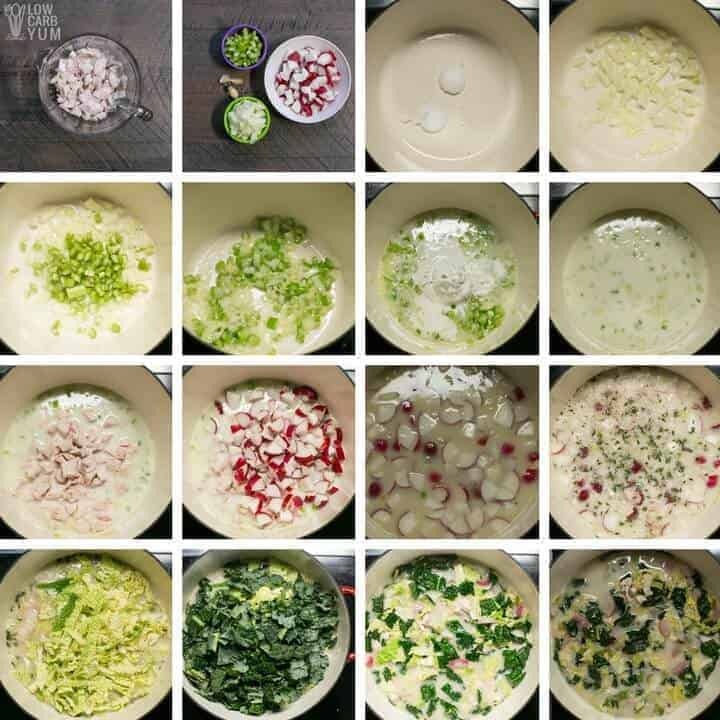 Sauté onions and celery in hot oil until onions are translucent. Add in garlic and cook until fragrant. 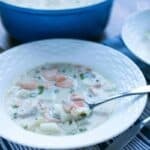 Add in coconut milk and heat until it's completely liquefied. Stir in radishes and turkey. Pour in turkey broth. Season with thyme, salt, and pepper. Bring to a boil, then cover and simmer for 15 minutes. Uncover and add cabbage and kale. Cover and cook for an additional 5 minutes.